Since the Israeli occupation of 1967, Israel has employed several policies to sever links between different Palestinian communities, taking over Palestinian land and natural resources, forcing the displacement of Palestinian families. Israel, the occupying power, has sought to change the demographic and geographic composition of the Occupied State of Palestine in order to facilitate the annexation of as much as land as possible for the benefit of its illegal settlement enterprise. A stark example of this reality is the situation of Bethlehem, where the Palestinian government controls only less than 13% of the district (the rest is controlled by Israeli settlers and occupation forces). Over the past few months there has been an increase of Israeli colonial activity on its northern and western areas, the latest of which have been the construction of more than 3 kilometers of the Annexation Wall in Bir Onah/Cremisan, 708 housing units for the expansion of the Gilo settlement. In February 2016, Israeli Antiquities Authority began an illegal excavation on top of the Cremisan Valley. The construction of the annexation Wall will impact Palestinians ability to access their land. The valley Israel plans to further confiscate is owned by 58 Palestinian Christian families as well as by churches. More than half of Beit Jala’s olive trees are located at Cremisan. The town‘s olive oil is considered one of the finest in Palestine. A kindergarten run by Catholic Salesian nuns will be critically affected by the Israeli plans, just as the ability to reach and develop the area around the Cremisan Seminary and Winery, which employs workers from Beit Jala. In August 2015, Israel commenced with the construction of the Annexation Wall in the northern Bethlehem Area around the Cremisan Valley in Beit-Jala, without taking into consideration the valley's potential outstanding universal value. On 2 February 2016, the Israeli Antiquities Authorities commenced with an archaeological excavation at Khirbet en-Najjar, which contains ruins of human settlement that dates back to the Roman period. What could be an area flourishing from agricultural and touristic development, is being closed to Palestinian access, let alone Palestinian development. Its water springs, fertile and picturesque landscape could be integrated to stimulate the Palestinian tourism sector in Bethlehem area. Furthermore, the construction of the Wall prevents Palestinians from holding traditional religious practices. For example, during the month of May, the Roman Catholic community celebrates ‘May devotions to the Blessed Mary – May Crowning’ and during the last days of the month a procession is held from the statue honoring the Virgin Mary at Cremisan to the Church of the Annunciation in Beit Jala. The Israeli government’s plans would change the landscape, and eventually block, such procession. In June 2014, UNESCO recognized the Cultural Landscape of Southern Jerusalem, Battir as a World Heritage Site. The site was submitted on emergency bases and inscribed on the World Heritage in Danger; this inscription was made due to the socio-cultural and geo-political changes that are affecting the property, and primarily the illegal construction of the Annexation Wall by the Israeli occupying authorities. The Cultural Landscape of Southern Jerusalem, Battir was inscribed as the first site of the serial nomination ‘Palestine, Land of Olives and Vines’. The archaeological excavation at Khirbet en-Najjar is being conducted by the Israeli Occupation’s Antiquities Authority without informing the Palestinians. The initial investigation conducted by the Palestinian Department of Archaeology and Cultural Heritage revealed that several artefacts and objects were found during the excavation, and were confiscated by the Israeli Occupation’s Antiquities Authority. The current Wall construction and archaeological excavation at Khirbet en-Najjar are part of Israel’s unilateral policy of creating facts on the ground to consolidate its interests in Cremisan Valley and to irrevocably ensure its exclusive control over Palestinian Land. 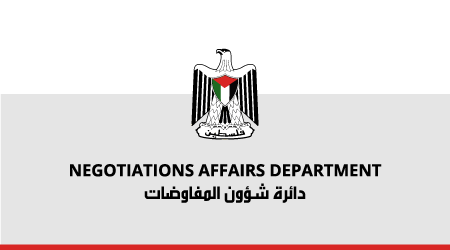 In the absence of a final peace agreement, the Israeli occupation is bound by provisions to secure the Occupied Palestinian State's cultural and natural heritage, and is responsible for its protection in accordance with the international law. Namely, the Hague Convention and Regulations of 1907, the Fourth Geneva Convention of 1949, and the Hague Convention and Protocol of 1954 for the Protection of Cultural Property in the Event of Armed Conflict, in addition to the UNESCO Recommendations on International Principles Applicable to Archaeological Excavations in New Delhi in 1956, Convention on the Means of Prohibiting and Preventing Illicit Import, Export and Transfer of Ownership of Cultural Property, the 1972 World Heritage Convention and other resolutions and recommendations concerning cultural property in Palestine.